It’s no secret that the Canadian government has been pushing for plans to legalize recreational marijuana. The goal here is not a marijuana free-for-all but rather legislation that “seeks to legalize, strictly regulate and restrict access to cannabis” in an effort to make Canada safer. Regardless of the intentions behind it, the legalization of Cannabis will impact commerce in a variety of ways. Most notably, what is currently the medical cannabis market will have the ability to expand – and will also face some new competition. Currently, cannabis is classified as a Schedule II drug under the Controlled Drug and Substances Act, The production and distributions of cannabis for any purpose other than medical at this point is subject to offences accordingly. Despite the regulatory history, the medical cannabis industry in Canada is growing. Access to Cannabis for Medical Purposes Regulations (ACMPR) has been in effect since August of last year, and sets the framework for the commercial production of cannabis by licensed producers. What are the Steps to Becoming a Medical Cannabis Merchant in Canada? In order to break into the Canadian medical cannabis market, there are several steps a merchant must take. First, one must become licensed by applying to be a producer/distributor with Health Canada. This body monitors licensed producers to ensure they remain compliant with regulations and conduct inspections. Once licensed, a person must abide by requirements to maintain an active license. As of March 31, 2017, only about a quarter of the 1,630 applications submitted to Health Canada are still in progress, with the remainder having been withdrawn, refused or incomplete. The regulatory hurdles are just the beginning for those who want to sell medical cannabis in Canada. Getting set up as an operating business is arguable just as difficult, if not harder. Health Canada isn’t the only entity medical cannabis merchants have to court when trying to operate a medical cannabis business. In order to accept online payments, merchants must also establish merchant accounts with an acquiring bank, a challenge that many businesses never surmount. These limitations force many merchants out of business or at the very least, severely inhibit their ability to grow and remain profitable. Many close up shop on their own or have their merchant account terminated due to excessive fraud and chargebacks or spikes in volume. It’s seemingly a lose/lose. That’s not the end of the story for Canadian medical cannabis merchants. 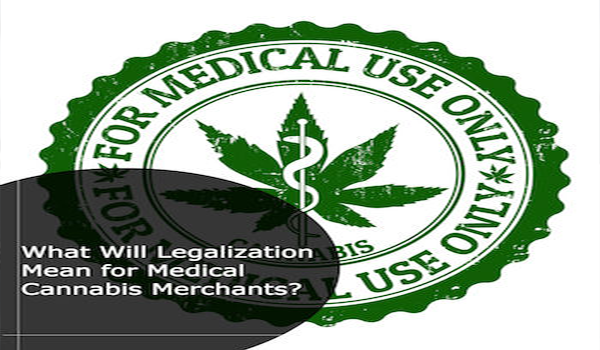 There are specialized payment processors and merchant account solution providers that cater to high risk merchants and medical cannabis merchants in particular. Working with a specialized payment processor can help merchants obtain stable, secure merchant accounts, streamline operations, and ensure they have the ability to grow without being punished. Once legalization passes, the market will flood with new producers and distributors. It would be “inconvenient”, to say the least, for a medical cannabis merchant to face merchant account termination on the heels of such legislation. Working with a processor that acts as a strategic partner and advisor presents the opportunity for stable growth. Not only can such a partner shield you from termination, but they can connect you with the right banking partners to ensure you have the potential for rapid growth, international expansion (where legal), and a PCI-compliant operation that isn’t drawing ire from regulatory bodies. If you’re already in the Canadian medical cannabis industry or looking to expand, carefully weigh your payment processing options before committing to a long-term contract that could stunt your growth. Do your homework and ensure you have a strategic partner that can facilitate a tailored, end-to-end payment processing solution suited to your specific needs.